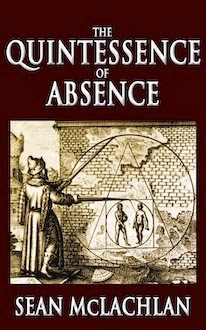 The travels and musings of a prolific author who has yet to make it big. In celebration of my two new Native American books, here's a photo of old Fort Defiance, Arizona, from 1873. This fort was established in 1851 to defeat the Navajo, who had been resisting white expansion into their land. Like most forts in the Old West, it didn't have walls since Native Americans almost never attacked large settlements, especially military ones, as they could not afford the losses this would incur. It looks like dusty, miserable place, but for the soldiers it was home. It seems they're having a visit from some local Navajo. By 1873, most of the Navajo were at peace with the Americans. I've zoomed in on some of the figures below. Photo courtesy Library of Congress. Acquiring food and water must've been a challenge in that area. That is so bizarre. I had no idea they had an underground fort in the desert, and mostly made the fort because they were expanding into Indian territory and feared reprisals -- and yet there are Indians hanging out right there! Incredible pic -- thanks for sharing! Sounds like they borrowed a good idea from their native American neighbors, the Navajo hogan. 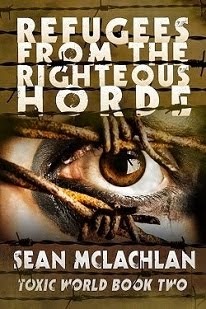 Looking for more from Sean McLachlan? He also hangs out on the Civil War Horror blog, where he focuses on Civil War and Wild West history. You can also find him on his Twitter feed and Facebook page. 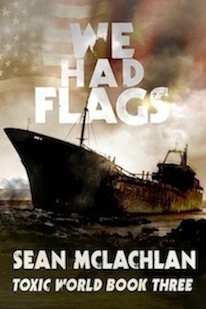 A freelance writer specializing in fiction, history, and travel, Sean's the author of numerous books, including the Toxic World post-apocalyptic series and the Trench Raiders WWI action series.You can email him at seansontheweb (at) yahoo (dot) com. To keep up with what's going on with my writing, subscribe to Sean's Travels and Tales, a free newsletter that goes out once every two months. Every issue has news, a short story, a travel article, and a coupon for a free or discounted book. Your email will not be shared. Click here to subscribe! An ancient mystery. A modern murder. Sir Augustus Wall, a horribly mutilated veteran of the Great War, has left Europe behind to open an antiquities shop in Cairo. But Europe’s troubles follow him as a priceless inscription is stolen and those who know its secrets start turning up dead. 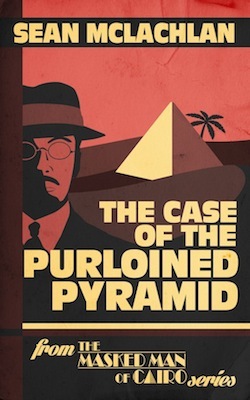 Teaming up with Egyptology expert Moustafa Ghani, and Faisal, an irritating street urchin he just can't shake, Sir Wall must unravel an ancient secret and face his own dark past. He came to Tangier to die, but life isn’t done with him yet. Tom Miller has lost his job, his wife, and his dreams. 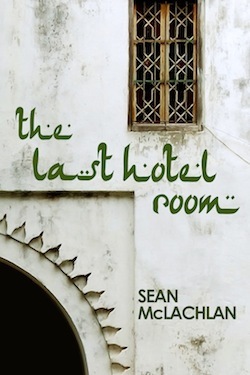 Broke and alone, he ends up in a flophouse in Morocco, ready to end it all. But soon he finds himself tangled in a web of danger and duty as he’s pulled into scamming tourists for a crooked cop while trying to help a Syrian refugee boy survive life on the streets. Can a lifelong loser do something good for a change? A portion of my royalties will go to a charity for Syrian refugees. 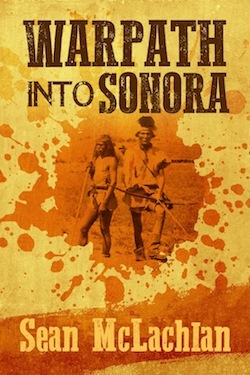 Arizona 1846: Nantan, a young Apache warrior, is building a name for himself by leading raids against Mexican ranches to impress his war chief, and the chief’s lovely daughter. But there is one thing he and all other Apaches fear—a ruthless band of Mexican scalp hunters who slaughter entire villages. Nantan and his friends have sworn to fight back, but they are inexperienced, and led by a war chief driven mad with a thirst for revenge. Can they track their tribe’s worst enemy into unknown territory and defeat them? In a world shattered by war, pollution and disease. . . A gunslinging mother longs to find a safe refuge for her son. A frustrated revolutionary delivers water to villagers living on a toxic waste dump. The assistant mayor of humanity's last city hopes he will never have to take command. One thing gives them the promise of a better future--Radio Hope, a mysterious station that broadcasts vital information about surviving in a blighted world. But when a mad prophet and his army of fanatics march out of the wildlands on a crusade to purify the land with blood and fire, all three will find their lives intertwining, and changing forever. When you only have one shot, you better aim true. In a ravaged world, civilization’s last outpost is reeling after fighting off the fanatical warriors of the Righteous Horde. Sheriff Annette Cruz becomes New City’s long arm of vengeance as she sets off across the wildlands to take out the cult’s leader. All she has is a sniper’s rifle with one bullet and a former cultist with his own agenda. Meanwhile, one of the cult’s escaped slaves makes a discovery that could tear New City apart. . . 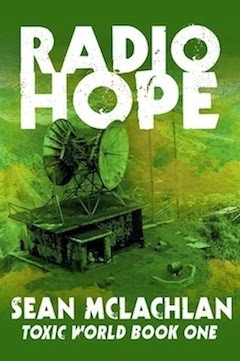 Refugees from the Righteous Horde continues the Toxic World series started in Radio Hope, an ongoing narrative of humanity’s struggle to rebuild the world it ruined. A law doesn't work if everyone breaks it. For forty years, New City has been a bastion of order in a fallen world. One crucial law has maintained the peace--it is illegal to place responsibility for the collapse of civilization on any one group. Anyone found guilty of Blaming is branded and stripped of citizenship. But when some unwelcome visitors arrive from across the sea, old wounds break open, and no one is safe from Blame. In a world shattered by war, pollution, and disease, a lone scavenger discovers a priceless relic from the Old Times. The problem is, it's stuck in the middle of the worst wasteland he knows--a contaminated city inhabited by insane chem addicts and vengeful villagers. Only his wits, his gun, and an unlikely ally can get him out alive. 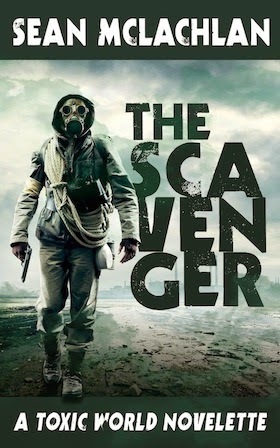 Set in the Toxic World series introduced in the novel Radio Hope, this 10,000-word story explores more of the dangers and personalities that make up a post-apocalyptic world that's all too possible. September 1914: The British Expeditionary Force has the Germans on the run, or so they think. After a month of bitter fighting, the British are battered, exhausted, and down to half their strength, yet they’ve helped save Paris and are pushing toward Berlin. Then the retreating Germans decide to make a stand. 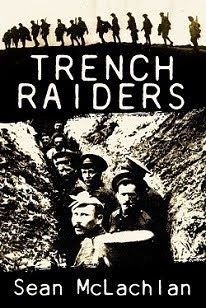 Holding a steep slope beside the River Aisne, the entrenched Germans mow down the advancing British with machine gun fire. Soon the British dig in too, and it looks like the war might grind down into deadly stalemate. Searching through No-Man’s Land in the darkness, Private Timothy Crawford of the Oxfordshire and Buckinghamshire Light Infantry finds a chink in the German armor. But can this lowly private, who spends as much time in the battalion guardhouse as he does on the parade ground, convince his commanding officer to risk everything for a chance to break through? 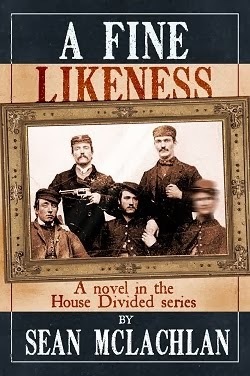 A Confederate guerrilla and a Union captain discover there's something more dangerous in the woods than each other. Four dark tales you better hope never come true. Can a drug-addicted sorcerer sober up long enough to save a kidnapped girl and his own Duchy? 271000 / 1000000 words. 27% done! See below for a peek at what's coming next! 73006 / 90000 words. 81% done! 7908 / 30000 words. 26% done! But you CAN start a sentence with a conjunction! Insecure Writer's Support Group: How Do You Know When Your Story Is Ready? Countries I've visited--31 and Counting!